Detecting antique reproductions can difficult. Many antique dealers even post the latest information about reproductions on their websites to help consumers learn to spot them. A problem arises when unauthorized reproductions are made from the same material, design or mold as the much older original and not labeled as such. Anyone can be fooled by a good reproduction if they are not careful. It is important to research the antique in order to tell if the object is an original or a reproduction. Reference books are available in libraries and bookstores, explaining the history of the craftsman or company that made the piece as well as giving information about the specific antique. The more time you spend studying at the real thing the easier it will be to spot a reproduction. You should consider a number of things to determine if an object is an original or an antique reproduction. A photograph, drawing or description of the original antique should be found to compare it to your piece. Examine the various small details. For instance, you can check to see if your antique is painted in the exact areas as the original, while certain reproductions, like pottery, have decals where paint should be. You can also compare the design patterns as well as the refinement of the details. In fact, the size of the reproduction might be the only way to detect that it isn't authentic..
Construction details have changed over the years. Turn the piece you are interested in over, look inside, and check unseen areas for modern construction details such as plastic or wood screws. Joints used to assemble furniture have changed. Always check the piece thoroughly so that if there are modern details you can find them. Artisans often place marks, like a signature or logo, on their objects. 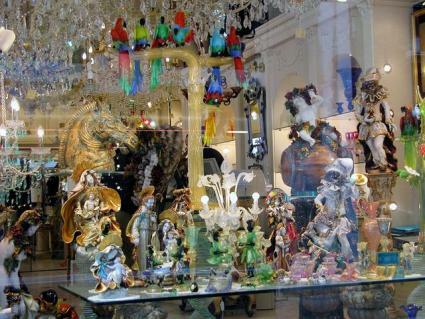 Many types of antiques have this mark, including glass, porcelain and silver. There are reference books as well as websites of marks to study.Some antiques also have patent numbers or, in the case of European china and porcelain, registry dates to help determine if you have an original or a reproduction. The United States Patent and Trademark Office opened in 1836. The patent number tells when the patent was issued and helps date many antiques such as clocks. Antiques can have patterns of wear. An object that is old is often worn at certain places consistent with its function. For instance, one would expect an old cane to have a handle that shows more wear than a new cane. Chairs may show predictable patterns of wear. Normal wear from decades of use just looks different than wear that has been reproduced. Antique reproductions aren't always made from the same material as the original. The type of paint or screws used in the reproduction might not have been available the year the original object was crafted. Price research should be done as well. Check to see what the antique or similar items sold at stores and auctions houses sell for. If the price of your item is well below the current market, then the antique might only be a reproduction. Sometimes you want to buy a reproduction and there are companies that specialize in these items. As long as you know that you are buying a reproduction there is no problem. Reproductions can be a great way to get the look you want easily and relatively inexpensively. Victorian Trading Company carries reproduction furniture, clothing, accessories, and a plethora of other items for your wardrobe, home, and garden. The selections include holiday items as well. Basil Street Gallery, also called Toscano, carries beautifully carved and detailed Victorian reproduction furniture and accents. They also have art, statuary, and other decorative items for the home. Laurel Crown has reproduction furniture from several eras including Eastlake, Chippendale, and Biedermeier. Pharaoh's Furniture carries reproductions of mostly European antique furniture in Regency , Louis XV , Louis XVI , Directoire , and Empire styles. Appalachian Woods creates Early American furniture by hand from heart pine and other reclaimed wood. If you find an antique that you love but you just feel like something isn't quite right always take the time to talk to the dealer and ask as many questions as it takes for you to feel comfortable. If something doesn't seem right it probably isn't. Buying reproductions because you want to is one thing but spending money on an antique that turns out to be fake is a mistake that no one wants to make.